Q: What impedance should I use with my 18 watt amp with GDS/Heyboer transformers? A: The 16 ohm tap on the output transformer seems to sound marginally better than the other taps. If you build a 2-12″, then use two 8-ohm speakers in series for 16 ohms total. If you are building a 1-12″ then buy a 16 ohm speaker. Now if you already have speakers that give you 8 ohms, don’t sweat it – the amp will still sound killer. Q: I’ve never built anything electronic before. Can I build a GDS 18W kit? Q: How long will it take to build my GDS 18W kit? A: Most of my customers report taking around 20 hours to build a kit. I personally take a little longer than that to build my amps, but I think I spend more time in the final tweaking stages to make sure everything is perfect. Q: Can I purchase the 36 watt OT only? Q: On the GDS/Heyboer 18W output transformer which wires correspond to the 16 ohm tap? A: The orange is the 16ohm tap. Yellow is 4 ohm, green is 8 and orange is 16. Q: How do I wire up the GDS/Heyboer transformers? Q: What are the specs for the GDS/Heyboer 36W trannys? 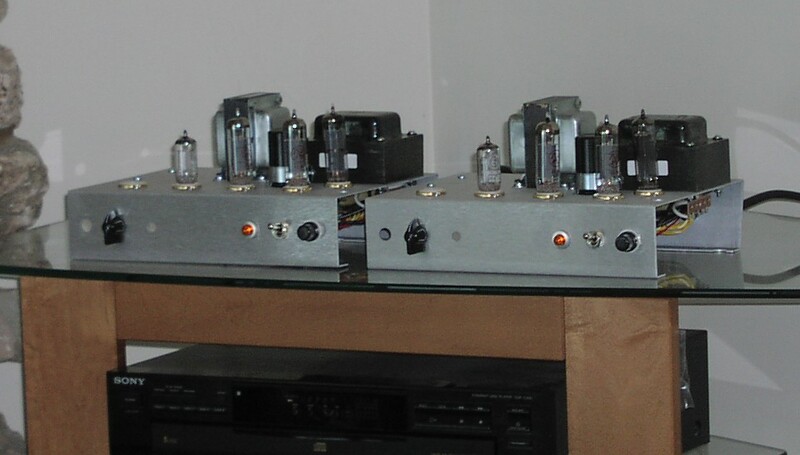 A: The 36W trannys simply changed the size to accommodate twice the power tubes’ filaments, and the output primary impedance is suited to four EL84s (4k instead of 8k). Both of the 36W transformers fit the 18W chassis perfectly so it is possible to modify the 18W chassis to build a 36W amp. Q: How do I hook up the GDS/Heyboer Vintage 18W output transformer? It has ten lugs! Q: What is the difference between the GDS/Heyboer Vintage 18W output transformer and the standard GDS/Heyboer output transformer? A: The Standard GDS/Heyboer 18W OT is a sonic replica of the original RS output transformer but it is slightly modernized. It has a single tapped secondary winding and the primary does not have wires for the ultralinear taps. The UL windings are present inside the transformer but there are no wires connected to them because they are not used in the 18watt amp. This OT has wires coming from the bottom of the transformer. Q: Where is the best place to buy 18 watt cabinets? A: I recommend two places. Jeff Swanson at www.swansoncabinets.com does a great job on authentic 18watt cabinets and Hiwatt cabinets as well. The other place to go is Anthony Bonadio at www.reasonamps.com Anthony also does really nice work. Q: Do you offer an EF86 variant with your kits? A: No, we do not. EF86 tubes are notorious for their inconsistency and unreliability so we have steered 18W builders (especially beginners) away from the EF86s. If you wish to try it, the mods required to implement an EF86 design are very simple. Q: Can you build a custom chassis for my ACME Amplifier Company RCX-1000V EXP Special Deluxe cabinet? A: Well, I could, but I don’t because there just isn’t a big enough market to warrant building 100+ chassis for that design. There are small shops around that can make custom, hand made chassis to your specs. All of our chassis are made on CNC equipment and to do a one-off custom is prohibitively expensive. Q: Can you sell me a GDS 18W chassis with no holes punched in it so I can make my own tube layout? A: Sorry, that isn’t possible either. See the answer above. Q: Do you sell your assembly manual alone? A: No we do not sell the manual other than with a complete kit. Q: The normal channel on my amp squeals when the tone control is on zero. What is wrong? A: This is a well known problem with the grounding issue in the 18watt. Oddly enough, if you use the technically inferior grounding scheme of the original 18 watter, you will not hear this squeal. If you use a floating ground buss which is connected to the chassis at one point (a star ground) you will likely have this issue. The fix is to take the wire that goes from your tone pot to your ground buss and disconnect it from the ground buss. Then attach it to the chassis somewhere near the tone pot, giving that pot its own separate ground. This should stop the squeal. Q: I’ve heard that you can jumper the channels for a really cool reverb. How do you do that? I use an older Lexicon LXP-1 or LXP-5 (typically $100 – $125 on Ebay!) or my favorite, a Lexicon PCM81. I have also tried the EH HolyGrail and a couple other effects pedals in this manner. They all work great. Let me know how it works for you if you try it.